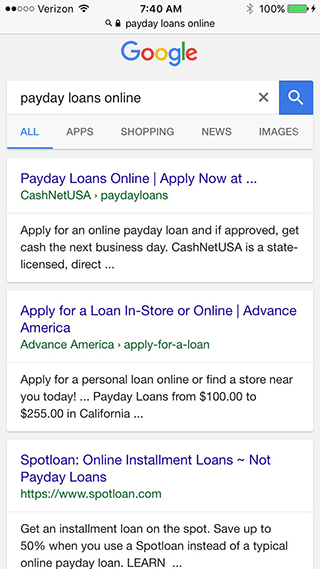 Ginny Marvin from Search Engine Land wrote Why are payday loan ads still showing on Google after the ban? and then the next day, she reported a huge drop in the number of Payday Loan ads being shown in the AdWords results. 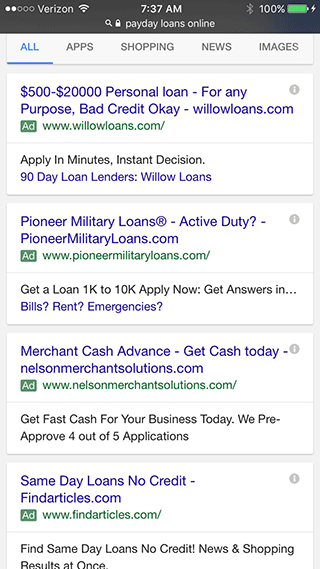 I think the issue is that payday loan advertisers keep finding loopholes back into AdWords and it is a cat and mouse game, where Google is always one step behind. I can obviously be wrong but you should read Ginny's article about the issue. 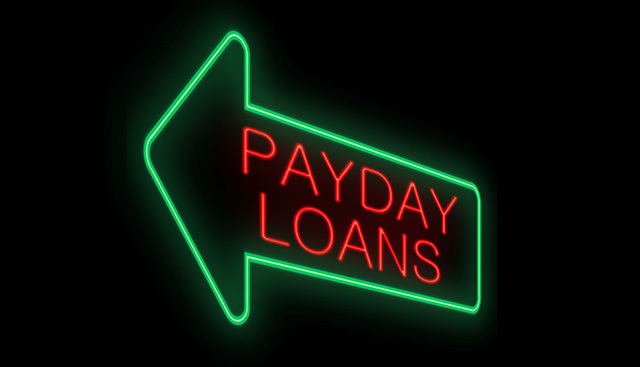 Just to remind you, Google banned payday loan ads from AdWords months and months ago.